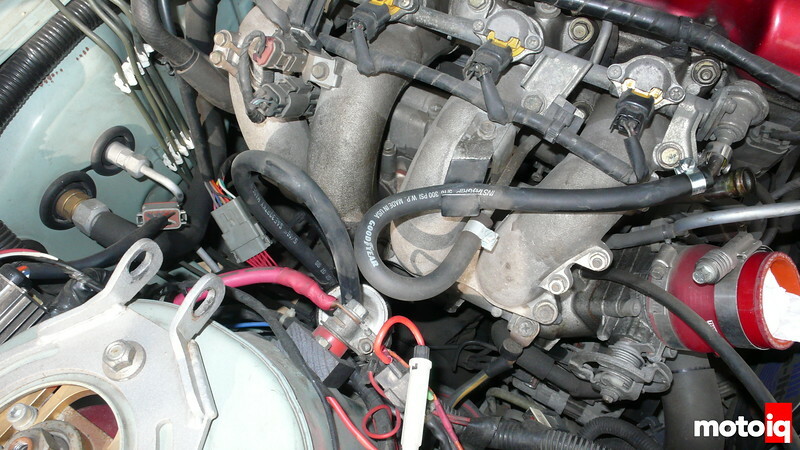 Tip #3: Loop Those Hoses! If you're working on a good, old-fashioned return-line fuel system, there's a really easy trick to contain flammable spillage and protect the fuel system from contamination. When you disconnect the fuel lines, remove one from the engine side, and one from the car side. Then just loop the engine side one back to the engine and the car one back to the car. The ends of your fuel lines stay clean and protected, and the constant drip-drip-drip of fuel is a thing of the past. Obvious? Then why does everyone ship enignes without doing this? Got any tips of your own? email them to dave@motoiq.com!